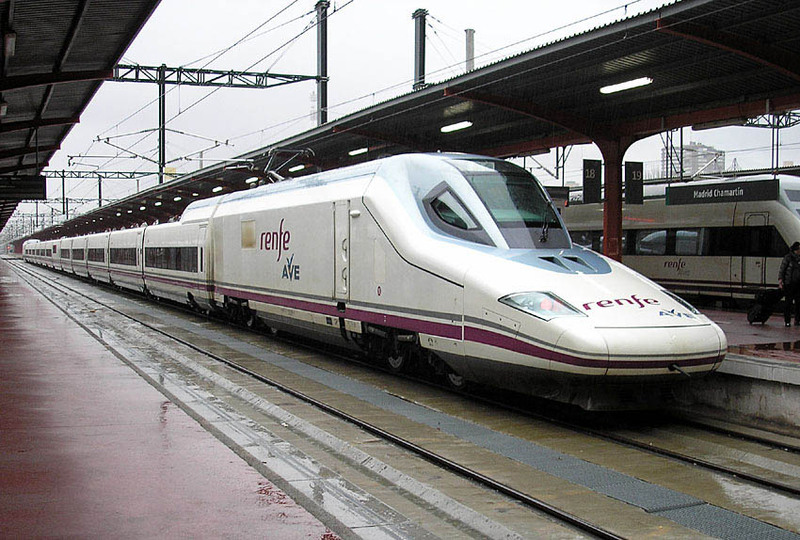 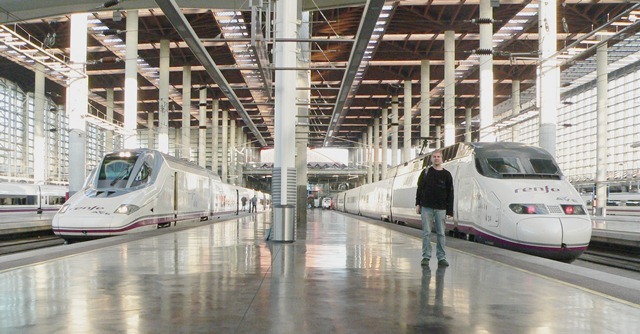 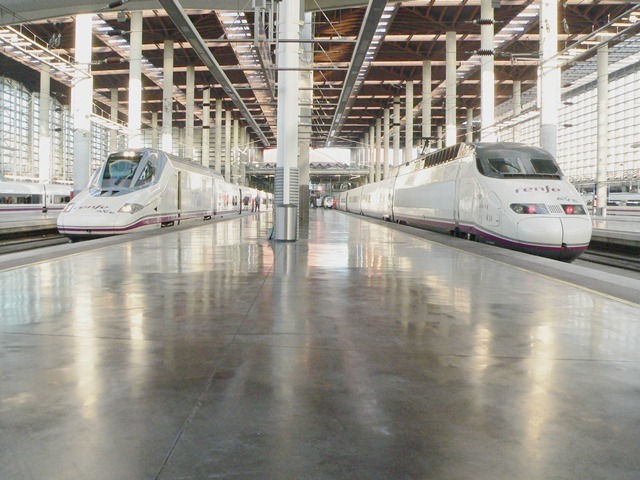 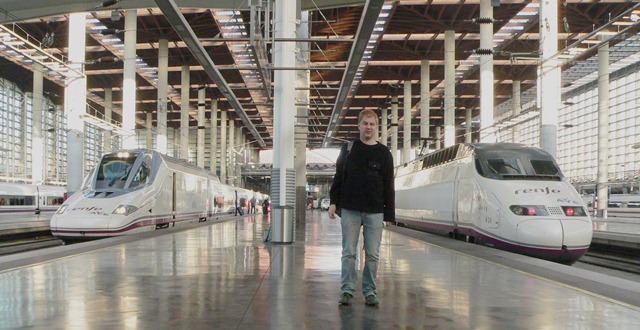 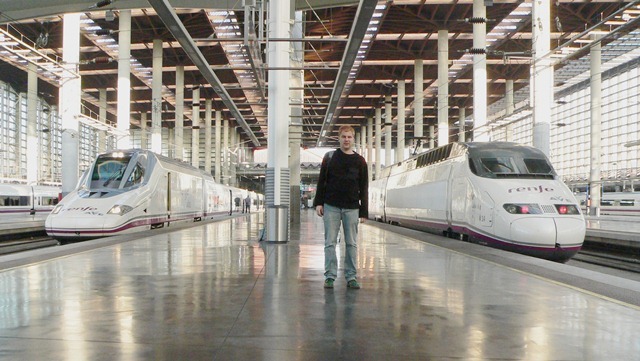 Renfe - Unidad TALGO serie 102. 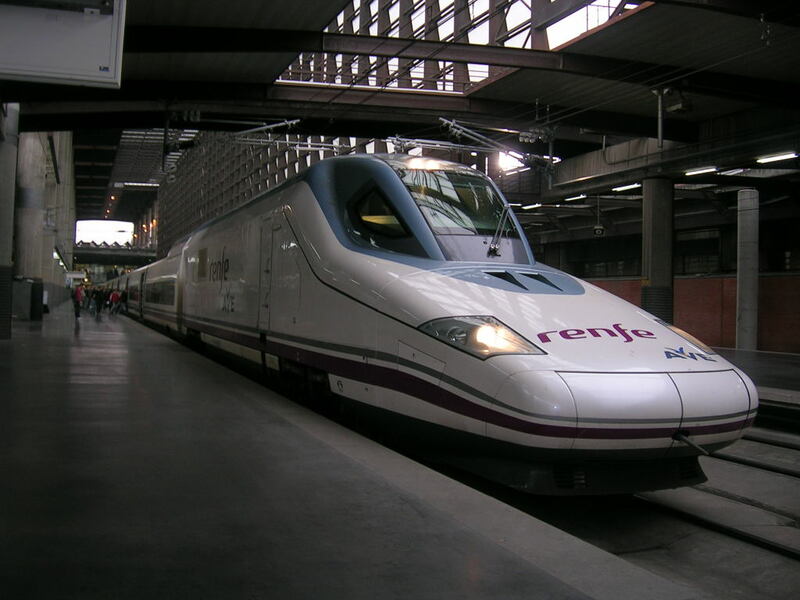 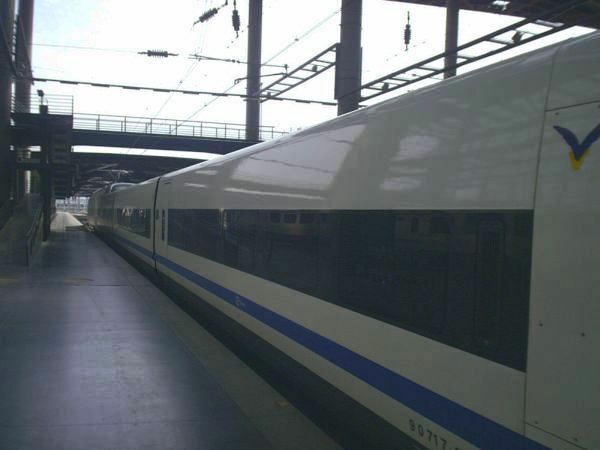 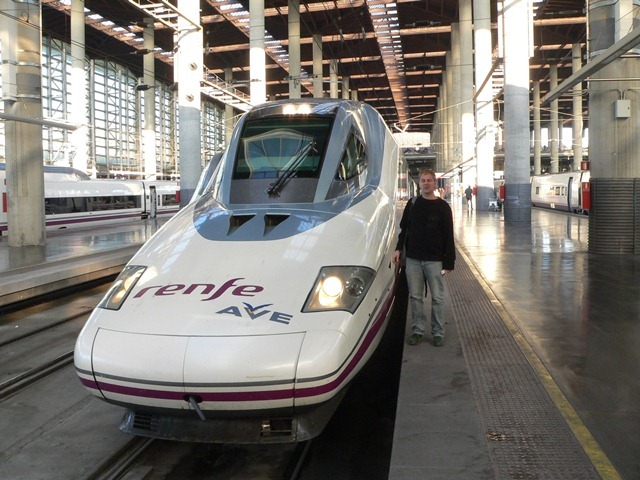 Renfe - Class 102 TALGO Unit. 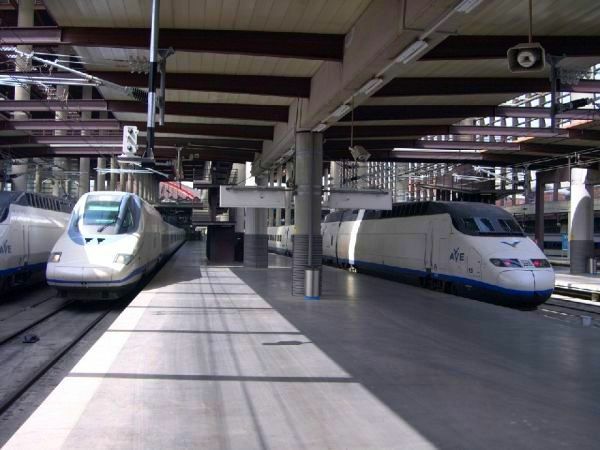 AVE-102.010 set (background) and 102.008 (foreground), seen at Madrid-Puerta de Atocha, on their very first day of revenue service on Madrid-Lleida. 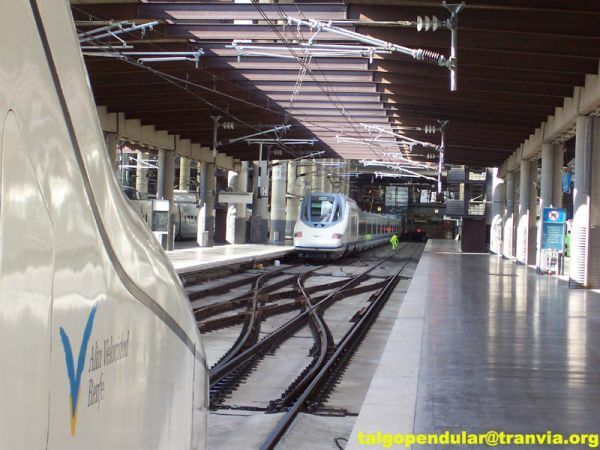 Photo by Juan Antonio González González (talgotato@hotmail.com)(Acknowledgements). 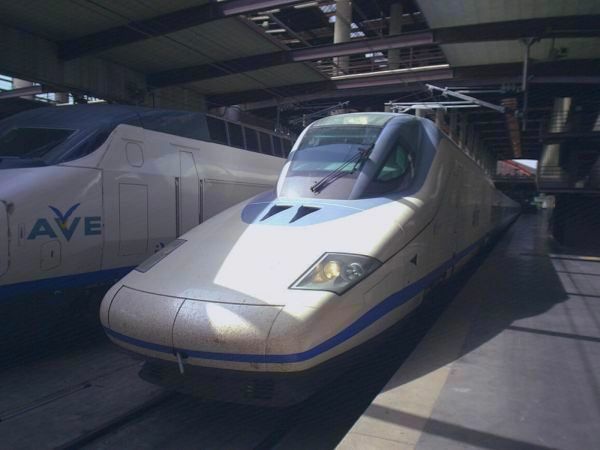 AVE-102.010 set, seen along with AVE-100.009. 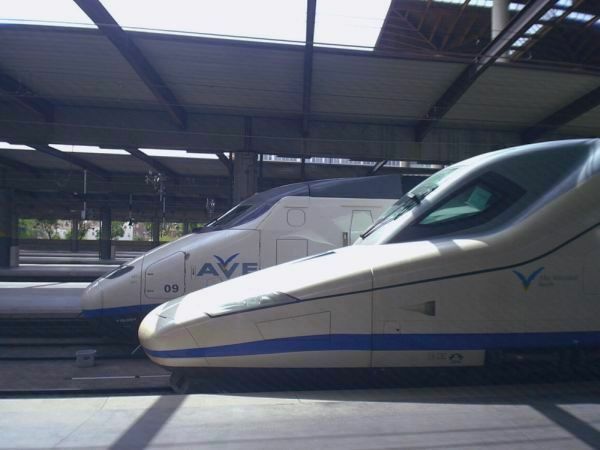 AVE-102.010 set, seen along with AVE-100.010. 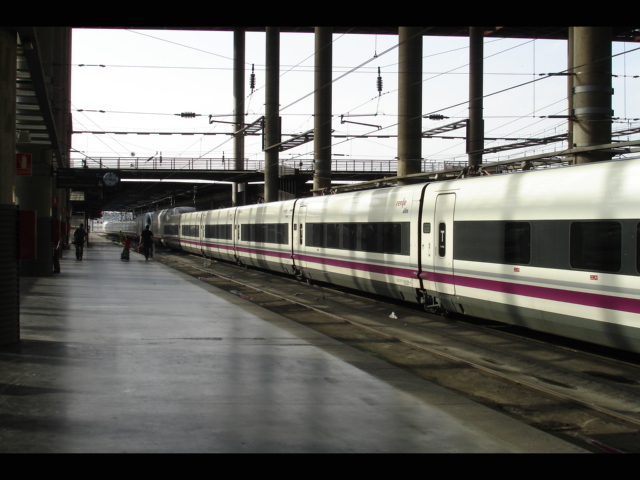 AVE-102.010 set, Coach 7 (Turista-class) (102.640). 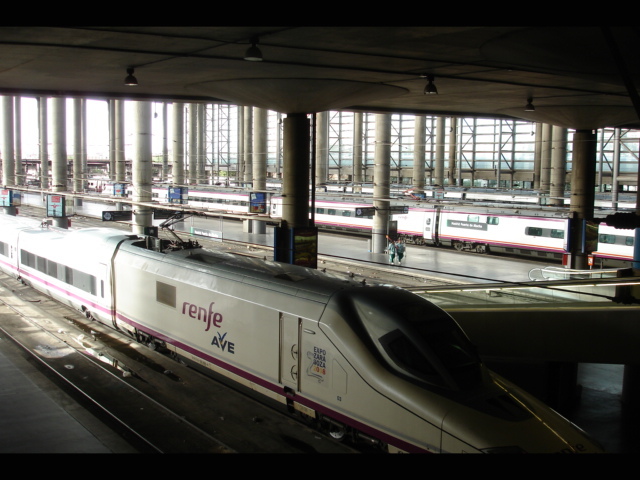 AVE-102.010 set, seen at Madrid-Puerta de Atocha, on its very first day of revenue service on Madrid-Lleida. 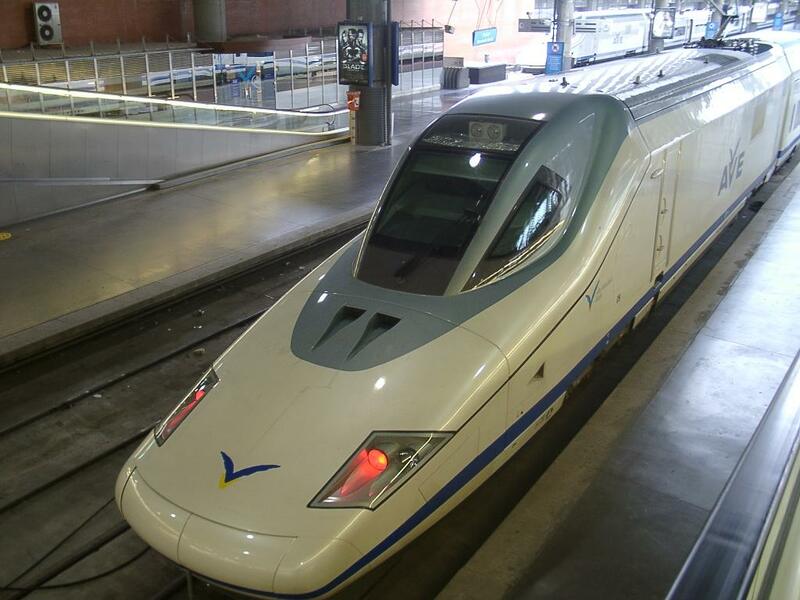 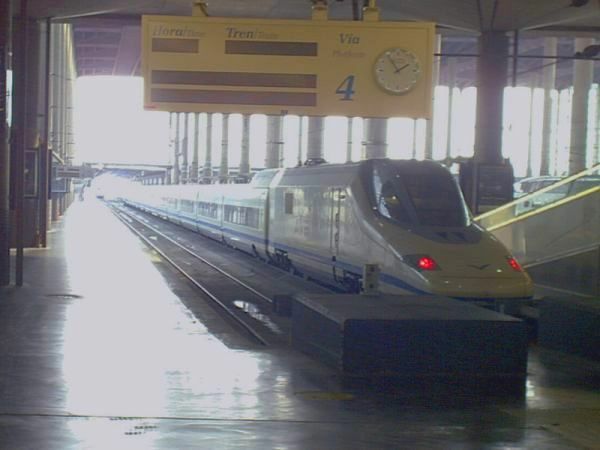 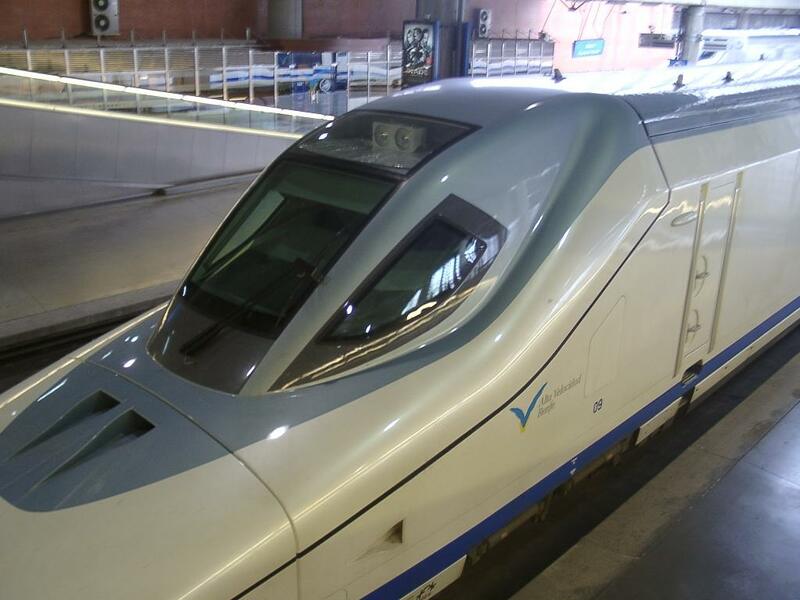 AVE-102 set, seen at Madrid-Puerta de Atocha, upon turnaround between 2 trial runs. 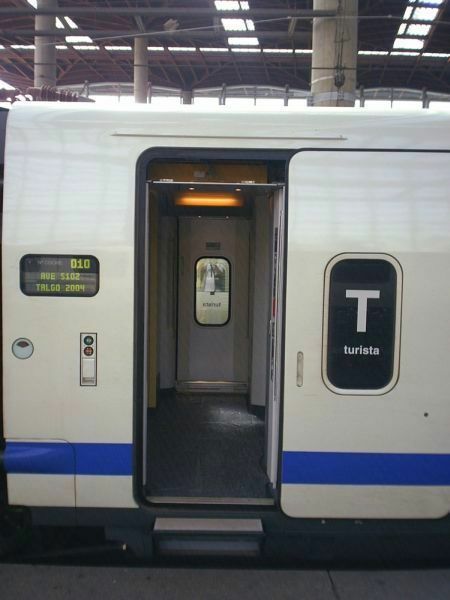 Vestibule of a Turista-class coach of AVE-102.010 set. 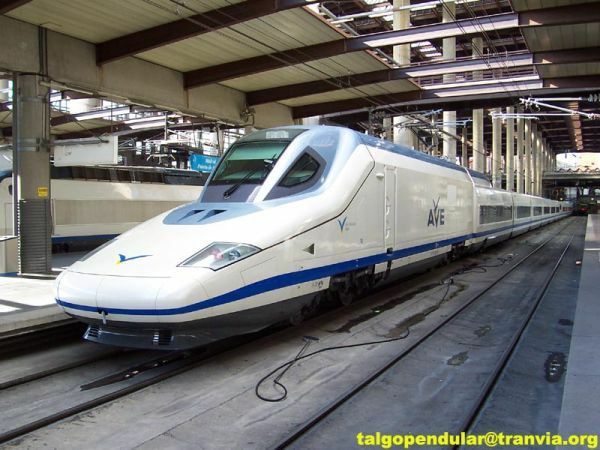 As on Talgo 7 sets, and unlike all previous Talgo stock, AVE-102s feature a folding, extra step. 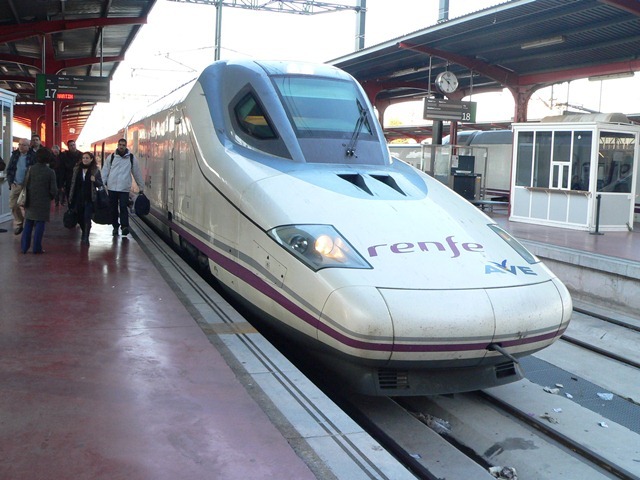 This is to improve accessibility from platforms built to French standards (55cm-1ft10in), as is the case on Madrid-Seville. 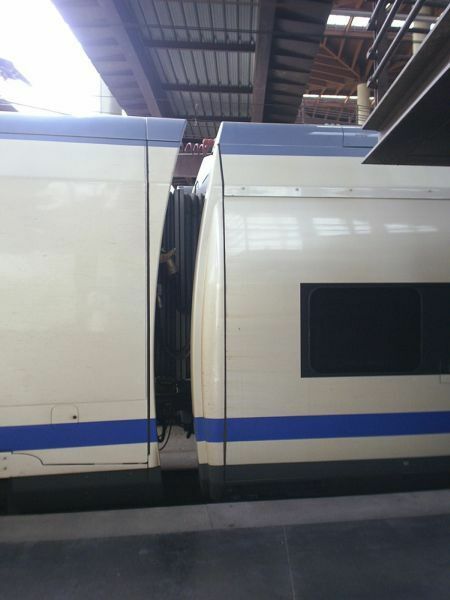 Conversely, this step will be useless on all subsequent HSLs, where all platforms mirror German standards (76cm-2ft6in). 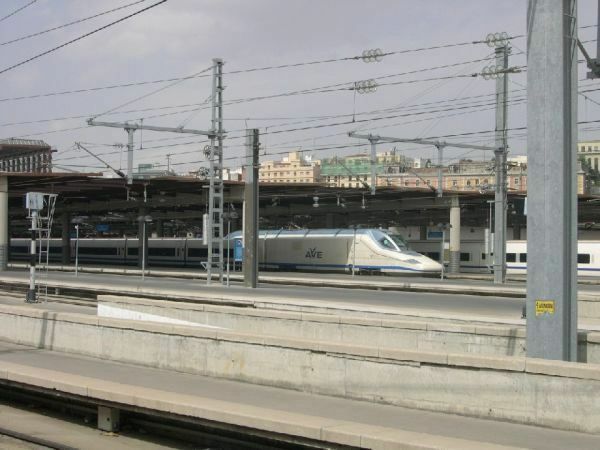 Gangway connecting 1 power car of AVE-102.010 with the End/Turista-class car (102.710).